We met a family from New Jersey on their winter vacation. They’ve been coming to Speculator for 8 years to ski at Oak Mountain and they couldn’t stop raving it, and it is now on my list. The drive on Sunday was as crazy as you would expect. We beat the majority of the traffic up the access road and only had to avoid one car as it slipped out along the side. After taking care of the tickets and gear, we rode on to the Adirondack Express to bypass a short line at the gondola. From the chair we could see it was deep and the snow was still coming down hard. We started our product testing on Twister: it was like riding on the clouds. We’d hope to jump into Twister glades, but the ropes were still up. That clearly didn’t stop some people, but we dropped further down to the cutover to the Burnt Ridge Chair. The glades here are my favorite at Gore. 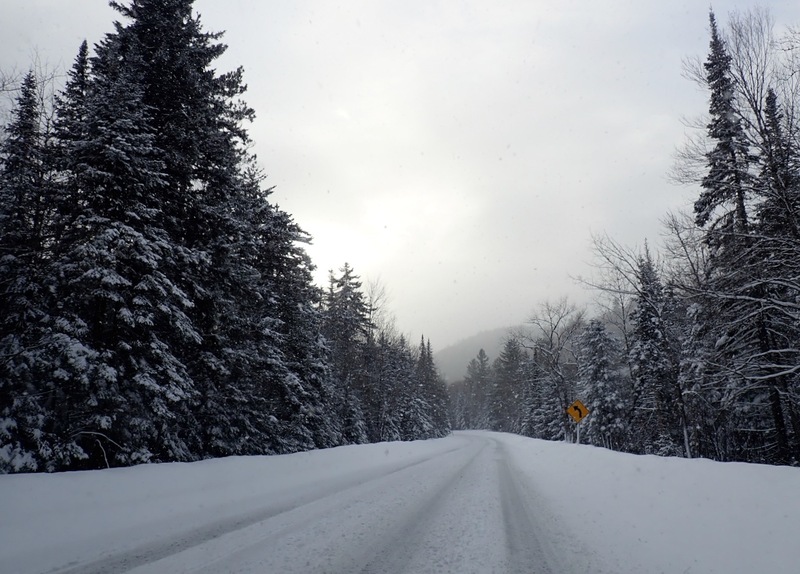 There were a few tracks down the Barkeater Glades but more than enough fresh snow to go around. 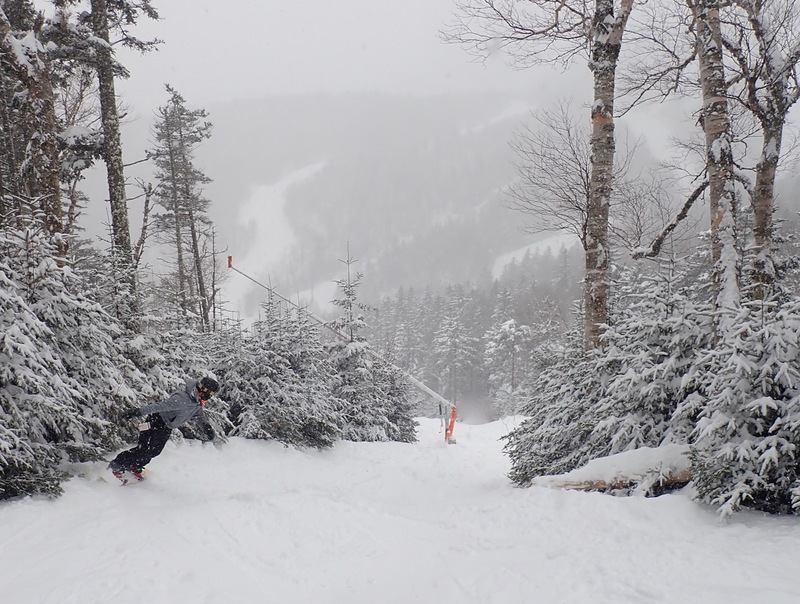 We found similar conditions in the other glades on Burnt Ridge and it was all smiles. Soon we headed back to the Northwoods area and up the gondola. 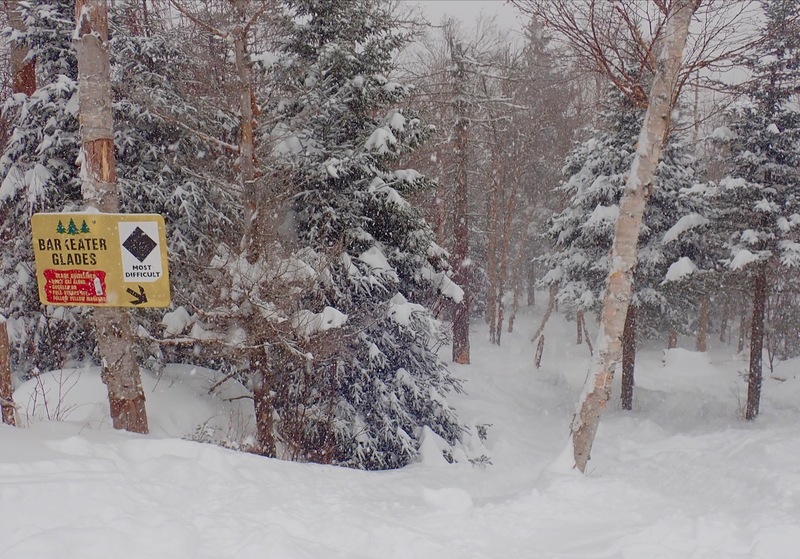 Nothing was off limits at this point, so we ducked into the Kill Kare glades on our way to the Straightbrook Quad. By midday the deep snow was started to get pushed around. It was hard work to ride the Straightbrook Glades, but I didn’t hear any complaints. By the time we reached Tannery had our legs were on fire. It was time for a change of pace on the North Side. We sent it off the “Upper Wood In” cat walk down to Powder Pass. We’d heard some hooting from the chairlift, or at least I thought I did. Powder Pass was a dream. That much snow shouldn’t be left untouched so late in the day. 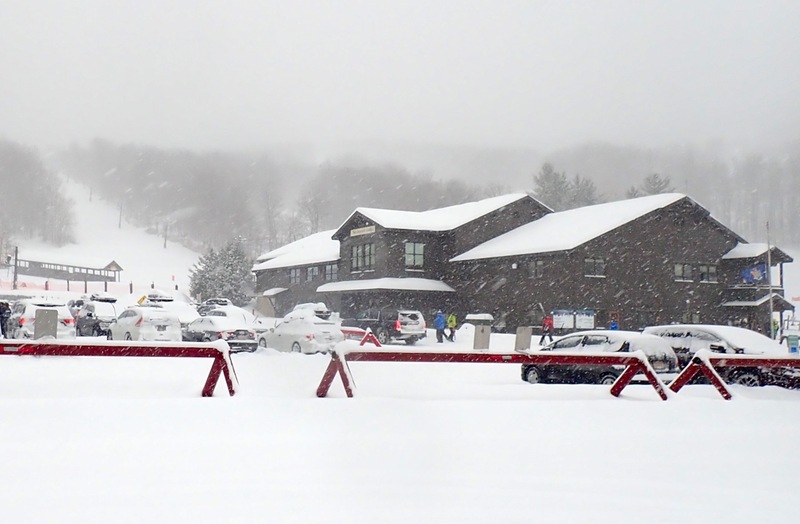 We did our best to tear up it up as the snow began to stop falling. Our legs gave out around 2pm and we went inside for a celebratory beer. It was my first time in the Tannery Pub since they remodeled it and it was lively. There was a lot of laughing and smiles across the room as the band set up. 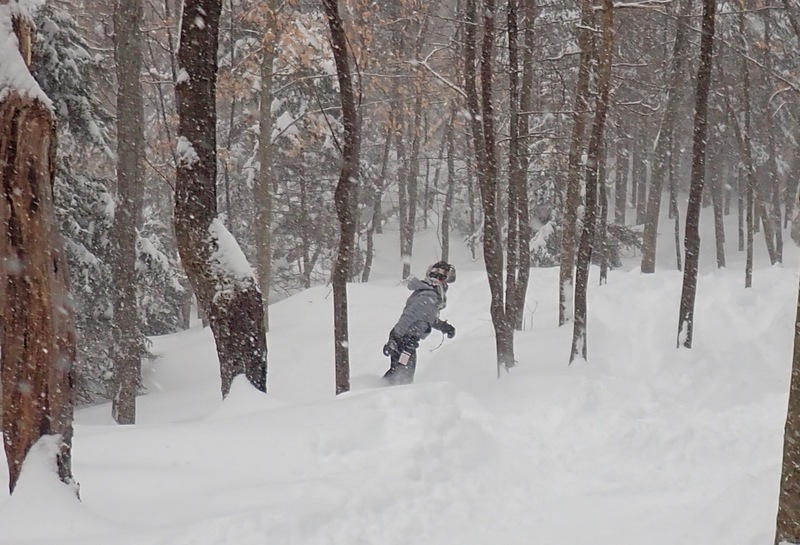 Twenty-two inches of powder invigorated me. The whole day I felt like I was skiing in the Warren Miller movies I grew up watching. Thanks to Conor for driving. On the long ride home, I was occupied only by grinning, my mind filled with images of a great day. 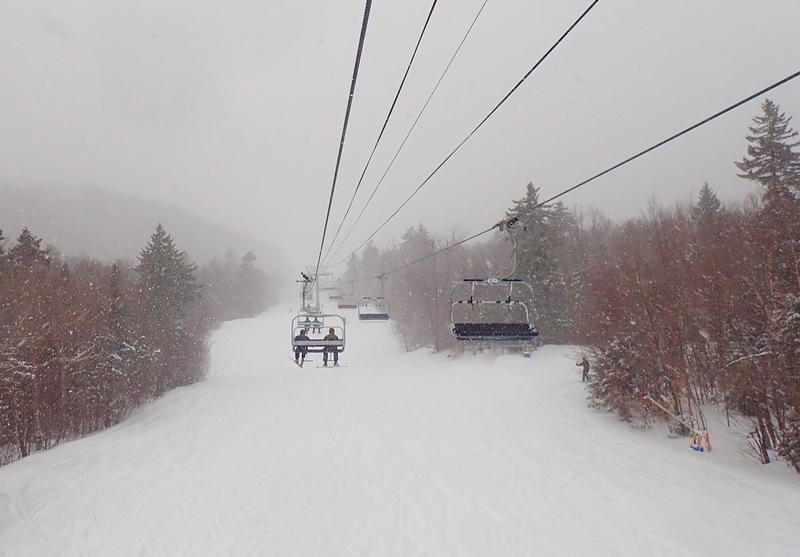 9:05 a.m., no lifts running. OTOH, somebody has a sense of humor, and the PA music is: “Love isn’t always on time…” Good vibe. Can you do one on Oak if you get a chance? Boom!! way to get after it. Thanks! Oak is on the list for sure. I see they have their 70th anniversary coming up so might have to stop by! Gore’s been fun this year. Still learning how to get around and ski all it has to offer. Best powder day ever at Gore! Snow was cold, deep and fluffy! Lies was the most edgeable I’ve ever experienced; Chat. was OK, Hawk had lotsa bumps. Sagamore was small moguls, and some settled pow on right side; Echo was grooomed for an upcoming GS race, so super-smooth, but the puzzling PIA was that you couldn’t go down Twister to get there, so had to X-cntry across to get to Burnt Ridge chair. Topridge was good, too. Showcase is almost always well-groomed and was so today. Foxlair was mixed. Quicksilver very smooth. Lifties generally jovial & fun. Sahweeeeet powder day! Thanks to Subie for AWD. I’m stoked you made a blog post after all. Proud to be a NY storm chaser. Nice score Robert! I also head for BR on a day like that, good call IMO. We made it up to Gore and skied Saturday, but sadly our AWD Mazda (which lives in NJ) was clearly not prepared for “real” snow. We got stuck going up the access road and then enjoyed driving all over North Creek and getting stuck several times. Besides being complete idiots, it was the very nice and helpful people in town that helped us from being totally stranded!